So, I put this together because it’s important that parents understand everything camp has to offer. 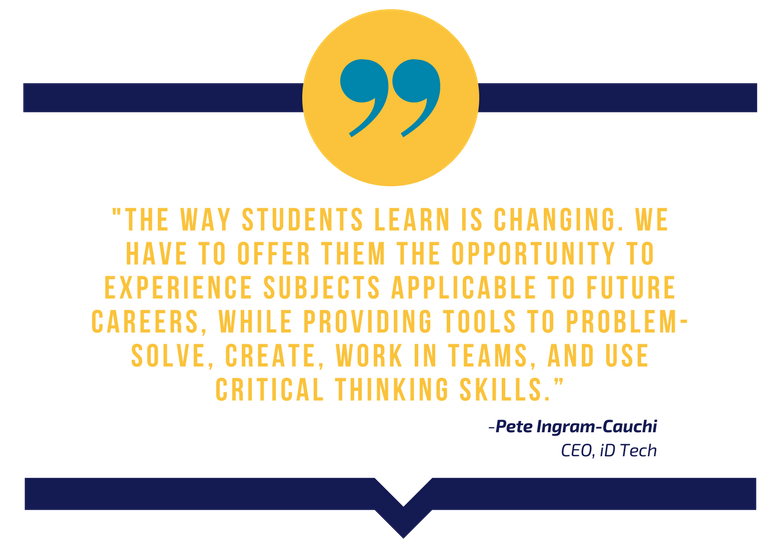 Many ask, “what is summer camp like?” and while the answers out there are good, there is another layer to consider. We’ve all been shaped by our environments in one way or another, but when that shaping forms someone into a permanent, ill-fitting configuration, it’s difficult for them to “break out” unless they get out. 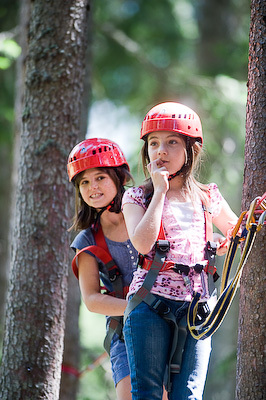 Even if your school does offer “different” activities, summer camp allows for a deeper dive. 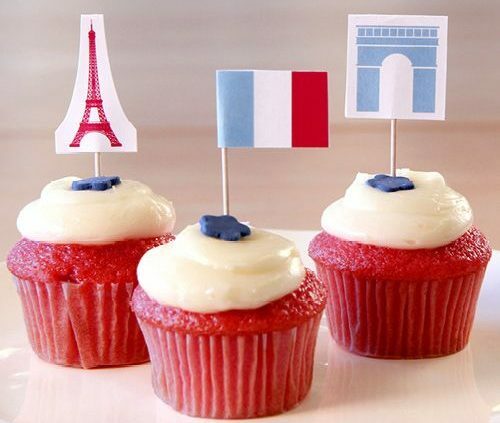 More than 200 million people speak French on the five continents. The Francophonie, the international organisation of French-speaking countries, comprises 68 states and governments. French is the second most widely learned foreign language after English, and the ninth most widely spoken language in the world. French is also the only language, alongside English, that is taught in every country in the world. France operates the biggest international network of cultural institutes, which run French-language courses for more than 750,000 learners. An ability to speak French and English is an advantage on the international job market. A knowledge of French opens the doors of French companies in France and other French-speaking parts of the world (Canada, Switzerland, Belgium, and North and sub-Saharan Africa). As the world’s fifth biggest economy and number-three destination for foreign investment, France is a key economic partner. French is the international language of cooking, fashion, theatre, the visual arts, dance and architecture. A knowledge of French offers access to great works of literature, as well as films and songs, in the original French. French is the language of Victor Hugo, Molière, Léopold Sendar Senghor, Edith Piaf, Jean-Paul Sartre, Alain Delon and Zinedine Zidane. France is the world’s number-one tourist destination and attracts more than 70 million visitors a year. 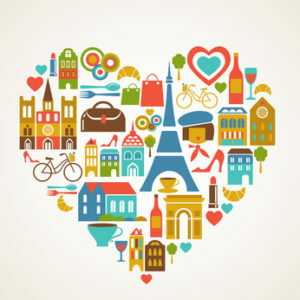 A little French makes it so much more enjoyable to visit Paris and all the regions of France (from the mild climes of the Cote d’Azur to the snow-capped peaks of the Alps via the rugged coastline of Brittany) and offers insights into French culture, mentality and way of life. French also comes in handy when travelling to Africa, Switzerland, Canada, Monaco, the Seychelles and other places. Speaking French opens up study opportunities at renowned French universities and business schools, ranked among the top higher education institutions in Europe and the world. Students with a good level of French are eligible for French government scholarships to enrol in postgraduate courses in France in any discipline and qualify for internationally recognised French degrees. After English and German, French is the third most used language on the Internet, ahead of Spanish. An ability to understand French offers an alternative view of the world through communication with French speakers from all the continents and news from the leading French-language international media (TV5, France 24 and Radio France Internationale). The one you were all waiting for! 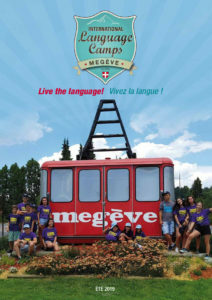 Here is the new brochure for our 2019 summer camps in Megève, Haute-Savoie in the heart of the French Alps. 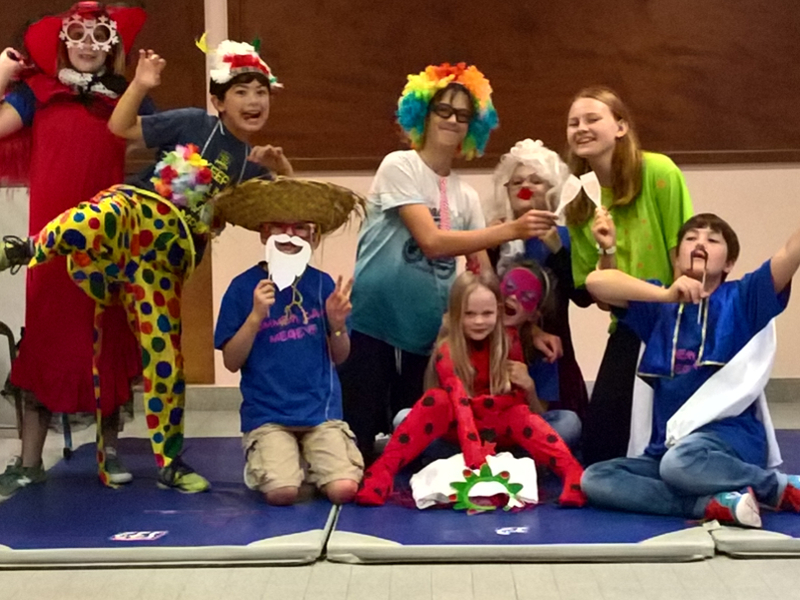 – This year, for our 2019 summer camps, we will be welcoming your children from the age of 6. It is our biggest change this year nevertheless, our team of professionals is well experienced with young children. So after a lot of demand from the parents, we have decided to open up the camps from 6 years old with a sports and language program adapted to their age. This summer, for the older campers, we are offering a night stay in a mountain hut and an evening of stargazing along with a multitude of other activities that will delight campers of all ages. We will also be organizing an international day where each child will have the opportunity to represent their country and together, we will discover their cultures. Each week, the campers also have the opportunity to choose from a range of additional sport options which take place at the end of each afternoon. This year they can choose between dancing (New), climbing, golf or tennis. 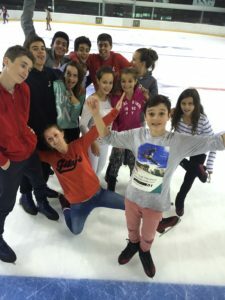 We try to improve year on year to keep your children happy, to help them discover new activities, experience new sensations and create unforgettable memories. 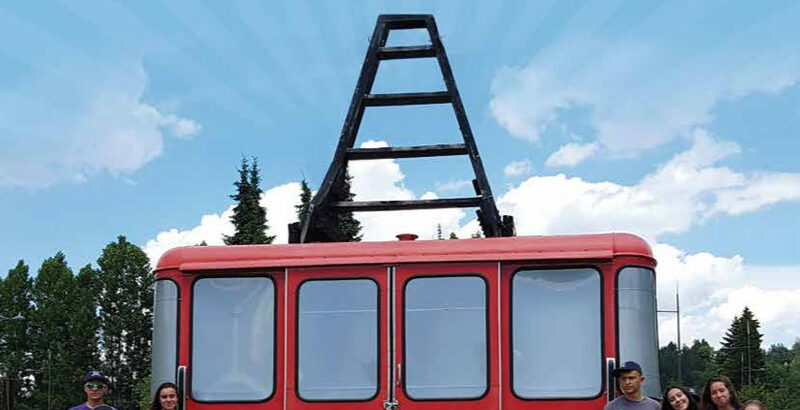 We constantly look for the latest trends so that campers who return year after year still get surprises. 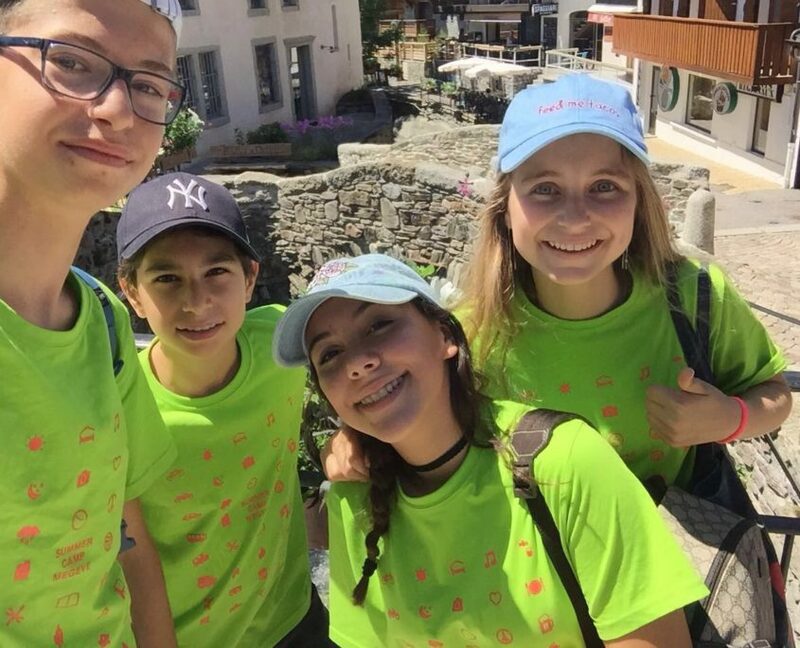 At the end of their stay, the campers will take a language test based on the Common European Framework of Reference for Languages (CEFR) which will allow you to have a better understanding of your child’s level. 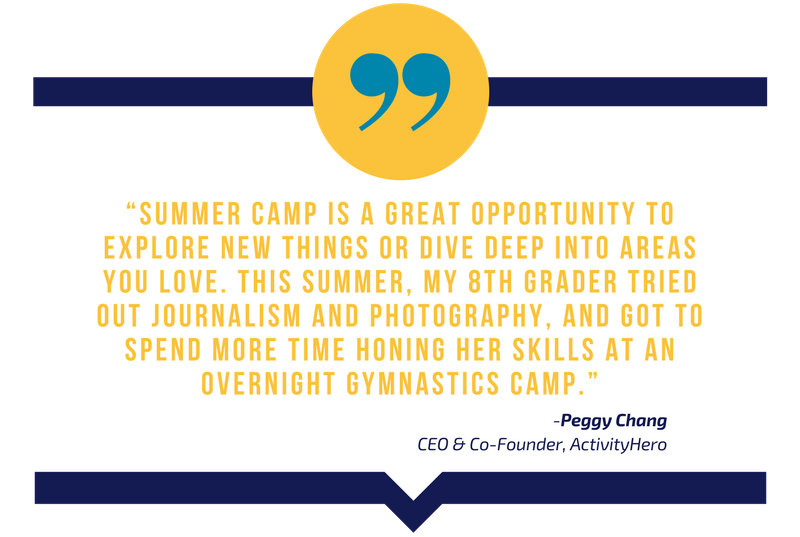 The 2019 summer camp brochure will show you the different programs we have to offer with the activities for each age category. Each activity is supervised by a certified professional. Your children will have the opportunity to discover a water-based activity, a mountain activity, a cultural activity and an artistic activity regardless of which program they are enrolled in. 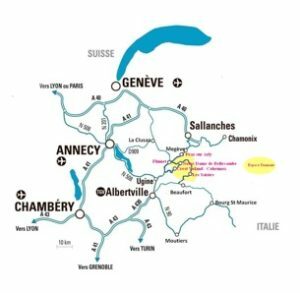 The campers will be staying and having dinner at the Coin du Feu hotel, as in previous years. They will also be having lunch at the Cintra in the center of Megève. Remember that for any registration before December 31, 2018, you have 10% discount on the price of your stay. My shy, quiet nine-year-old went to camp not knowing a soul. Two weeks later, she came home transformed. She blossomed. She made friends, learned a multitude of activities, felt safe, loved, confident, and happy — really, really happy. As hard as it was on me, it was all worth it for her. It was the single best thing I have ever done for her. Many parents won’t allow their child to go on a school field trip or school outdoor education trip unless they are chaperoning, so it’s no surprise that those same parents may find the idea of sending their child to sleep-away camp incomprehensible. As a camp parent, you may get a shocked response from one of these “non-camp” parents. They may ask you things like, “How can you stand having your child away from you for so long?” or, “How will she survive without you?” or, “Isn’t he too young to go to camp alone?” Or, they may comment, “I would never send my child away to camp for two weeks.” In all of these negative responses, there is an underlying criticism of your parenting. If you find yourself in the awkward position of being criticized for the decision to send your young child to camp, you may want some extra “ammunition” to defend your decision. 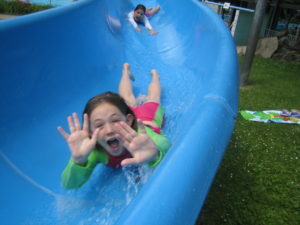 And, if you are never in the position of defending your camp decision, let this list remind you about just a few of the many reasons why you are being a great parent by sending your child to camp! 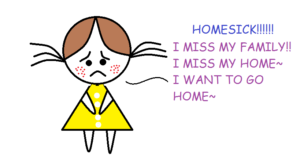 You are giving your child the opportunity to live and thrive without being with you and under your constant scrutiny. The growth in confidence and independence happen at camp BECAUSE you are not there. Read more about why camp experiences help kids develop independence in Parking Your Helicopter. You are giving your child a break from the pressures and stress of competitive sports, school, and you. Forgive me if that offends, but I, too, am a well-meaning but over-involved parent who provides just a bit too much advice, feedback, and guidance to my children. Our kids need a break from our well-intentioned involvement in their lives. Camp has helped me appreciate nature and the outdoors a lot more than I think I would have if I didn’t go. I can go without my phone or connection to social media awhile, because camp has shown me that amazing stuff happens when you put your phone down and have a nice conversation with someone. You are giving your child the chance to unplug and connect face-to-face with other kids and positive young adult role models. Getting unplugged is one of my favorite topics, so you can read more at Five Reasons to Unplug and Get Unplugged to learn about the many benefits of taking a break from technology. I feel like I have become a kinder person and am better at making friends because of camp. The bonding and friendships that happen at camp are different from those that occur at school and on sports teams. The intensity of living together and experiencing life together, without distractions, creates the ideal setting to form life-long friendships and really get to know people well. Read more about camp friendships in Friends: Finding Gold in a Plastic Era. So, if people ever question your decision to send your young child to a traditional, longer camp stay this summer, let them know that it’s hard for you to let your child go, but that you’re giving your child a gift that will have more impact than any material item you’ve ever given. 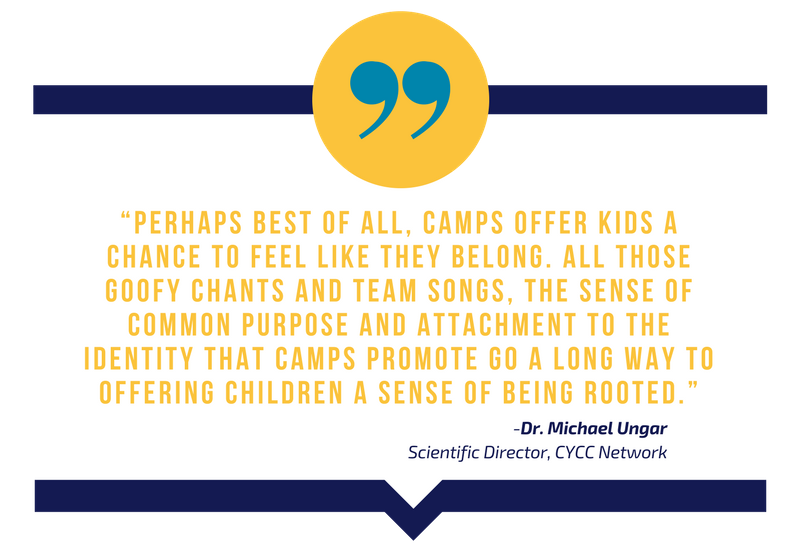 Want to read more about the many benefits of camp? The Natural Gifts of Camp Read about the benefits of kids being in nature at camp in an article written by Richard Louv, author of Last Child in the Woods: Saving our Children from Nature Deficit Disorder. Children Inside and Out Information and reassurance for first-year camp parents by camp expert Bob Ditter. http://www.internationallanguagecamps.com/wp-content/uploads/2018/03/2008_cifel-6043.jpg 400 266 admjeunes http://www.internationallanguagecamps.com/wp-content/uploads/2017/07/logo2.png admjeunes2018-03-22 13:03:072018-03-22 13:03:31How summer camps prepare kids for college? 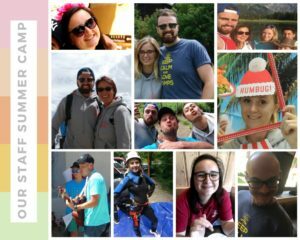 We love camp, it’s our time to get away from our ‘real life’ and enjoy our summer with the children from all over the world. Unfortunately we have to get back to our real lives at the beginning of September for most of us, so what do we do? Well, as Camp Director, my summer is taken up with organizing, prioritizing, dealing with all issues and problems and maybe a bit of fun at times! After a well-earned break, I’m back working for our Language School as Director of Studies with my main priority being the Cambridge Assessment English exams where I’m the main coordinator and trainer of local examiners. I also do a bit of teaching to children from as young as 5 up to adults needing English for work. As for the rest of the team, Brandon works with me all year round and quite a few of the counselors are continuing their studies: Maud is in Lyon doing a Masters in Law, Sophie is in the Netherlands studying International Business Management, Simon is studying in Geneva to become a Pharmacist, Diana is finishing a degree in Languages. Others are working: Dylan is teaching English in Spain and Jonathan is teaching French in Peru. As for Tom, he has just passed his diploma to teach English as a Foreign Language and is contemplating his next move! See you in the summer where we can all leave our ‘real lives’ at home. http://www.internationallanguagecamps.com/wp-content/uploads/2018/02/our-staff.jpg 756 945 admjeunes http://www.internationallanguagecamps.com/wp-content/uploads/2017/07/logo2.png admjeunes2018-02-02 13:35:552018-02-02 13:35:55What do we do when we’re not at camp?